Quesadillas are great for utilizing leftovers in the fridge, and make for the perfect quick dinner—especially when avoiding the heat in the warmer months. 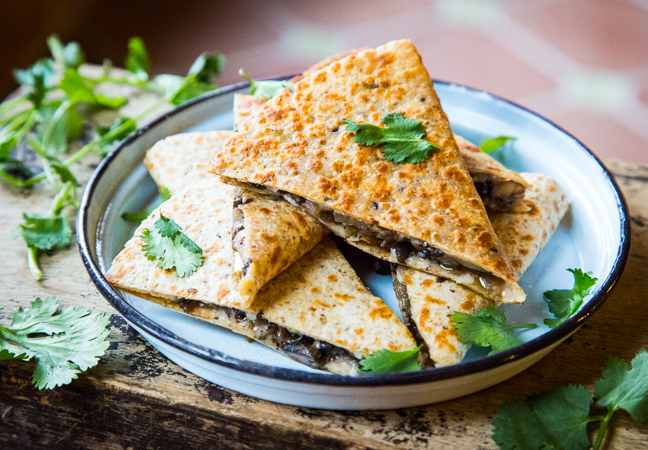 This portobello mushroom Asiago quesadillas recipe, packed with earthy mushrooms, Asiago cheese, and Italian seasoning, is sure to be a family favorite! 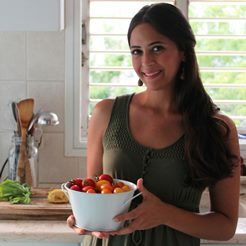 Get the recipe for a hearty and quick summer meal that the whole family will love. Step 1: Heat the olive oil in a large sauté pan over a medium flame. Once the oil is hot, add the sliced onion and cook until soft, about 7 minutes. Step 2: Add the minced garlic, mushroom slices, and fresh thyme leaves to the pan and cook until mushrooms are tender, about 5–7 minutes. Season with salt and pepper and stir frequently. Once the mixture is fully cooked, transfer to a plate, and let cool slightly. Step 3: Wipe the pan clean, and heat ½ a teaspoon of butter. Swirl the butter in the pan, making sure it's evenly coated. Add one tortilla and sprinkle with ½ cup of shredded cheese over the top. Step 4: Spread about ½ cup of the onion-mushroom mixture over half of the tortilla. Once the cheese is melted, use a spatula to gently fold the tortilla in half, sandwiching the filling. Transfer to a plate, and repeat with the rest of the tortillas, cheese, and filling. Step 5: On a cutting board, cut each tortilla into 3 equal wedges. Serve warm with your favorite condiments.